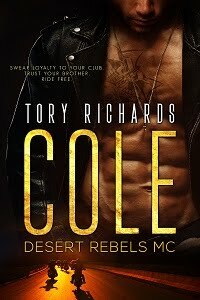 TORY RICHARDS: Over 300 participating authors! Congratulations Ashley Applebee! You win an autographed copy of The Cowboy Way! The grand prize winners have already been notified and have their prizes or the prizes are on their way! Lucky in Love? Well, are you? It's a time of luck and wealth...or not. With each romance we find ourselves in a new world of love and memories. Are these just by chance? Is it luck? 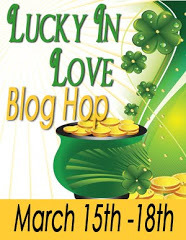 Welcome to your second annual Lucky in Love Blog Hop where we want to hear about your love, your romance, and how much you love St. Patrick's Day!!! Are you wearing green? Ready to get pinched...or wait...do you like that? Click on the link beneath the graphic to be taken to a site where all author links are located. Over 300 participating! My giveaway is an autographed copy of The Cowboy Way. In order to qualify for a chance to win tell us what you do to celebrate St. Paddy's Day. I rode in a float in a parade one year. Do you wear green underwear, 4 leaf clover jewelry, or drink green beer? Or do you like to go around and pinch anyone not wearing green? Make sure you leave your email addy and good luck! I do wear green and am Irish. Going to the parade on Sunday, the kids love it. We do dress up with a few items like shorts socks and crazy hats or necklaces. Before kids I used to go all out and dress head to toe with crazy items and all green. Love green beer and corned beef and cabbages. Also love the Reuben and she Bailey's. Thanks for the awesome giveaway. Not being Irish, I don't do much. If I remember, I wear my one and only green item, a shirt in a light green. I do make corned beef and cabbage because I love it and have it 3 or 4 times a year. I used to own a bar here in Spain so we used to put food colouring in the beer to turn it green for Paddy's day. Always hard work that day but good fun. I find one of the few things I own which is green to wear although it has been quite awhile since I have had to deal with the pinching aspect, lol. woo count me in I am not Irish, I don't do much. I wear my one and only green item, a shirt in a light green.And at the end of the day I will have Irish coffee mmm. I do watch a parade if it's happening. I wear a green shirt and green earrings. Usually don't do much for St Patricks day...One year before we had kids my husband had a huge fishbowl filled with green beer...it was hilarious. We had no idea it would be so big!!! I'm a very lucky girl. I have a wonderful husband whom I love very much. I'm not Irish but I do love the green beer. I do wear green but I am not Irish. Lucky only sometimes. I usually wear green and I thought I might make broccoli mashed potatoes they will have some green mixed in. We do not usually do anything special, but last year we did have a family dinner. I had to cook and I do not like corned beef, so I made Italian - not very Irish at all. But I did make my Sangria green instead of the traditional red. I used white wine instead of red, white grape juice instead of red, green grapes, green apples, kiwi, pear, lime instead of oranges, red apples, and berries. This year, I think my daughter and I will make mint chocolate chip cookies! I'll make some green scones, but that's about it. So it seems that green beer and corn beef and cabbage are a main staple of St. Paddy's Day. I love corn beef and cabbage and we have it often. The key is cooking the brisket for hours to get it nice and tender. I do mine in the crock pot. Thanks for coming by everyone and good luck at winning some prizes! We have great corned beef and sandwiches and chill. Not big on the whole parade and hoopla. Definitely wearing green though...don't want to get pinched...although a spanking would be a different story! I have not yet been lucky in love, ie finding my soulmate, but hope springs eternal! Thanks for participating in the blog hop. I am looking forward to you latest release. I wear green & maybe have a green bagel. Not into the corn beef & cabbage - we are actually having pasta this year, since my daughter has a basketball game that night & it's her energy food. LOL! I do enjoy wearing the green. I enjoy the music, the laughter and it's just fun. Thanks for being in the Happy St. Patrick’s Day blog hop. Happy St. Patrick’s Day, ya’ll! Keep writing so I can keep reading. I wear green, but honestly I rarely remember when St. Patrick's Day is lol. Thanks for the great giveaway and for joining the hop!!!! I don't really do much. I wear green and put up some decorations and make some cookies sometimes. Happy St. Patrick's Day! We don't celebrate it here I live but I always wear some green, because this holiday seems so much fun! Happy St. Paddy's Day everyone! Great turnout so far. I hope you're having some fun and discovering new authors. Gotta have the traditional Irish Soda bread! Yum!! Happy St. Patrick's Day, everyone! I will wear green--if I get out of my PJs today. In high school, I marched in the city's St. Patty's Day Parade. I'm taking myself out to dinner tonight and of course I'm wareing green. Thanks for the chance to win. Happy Saint Patty's Day! Not lucky yet. Happy St. Patrick’s Day! I make lamb stew every year for St. Patrick's Day. Last day folks! Winner of my prize will be announced here tomorrow. Good luck everyone! I wear a little green. Thanks for the giveaway. I usually just wear green. Thanks! What a great giveaway hop! I have yet to be lucky in love but I'm working on it. My favorite love book is "Outlander" by Diana Gabaldon. Jamie Fraser is amazing and beautiful. I enjoy St. Patty's Day and this year I'm spending it with my best friend. We're going to two Irish Pubs and also some dance clubs. I am also wearing green and am not a fan of getting pinched. I'm not Irish either, but many people think I am because my hair is red, my eyes green and my name is Meghan, but I'm not at all. I won't be telling anybody that, however… let them believe I'm Irish. This was a terrific hop! And a lot of fun finding out how we celebrate St. Paddy's Day. The winner of an autographed copy of The Cowboy Way is Ashley Applebee!